The Glass Feeder is a simple and elegant tool to store, display, and dispense fish food such as Seachem NutriDiets™. This feeder is excellent for every aquarium type and can dispense a wide variety of dry flake and pellet foods. Makes an excellent accessory for aquascapes and reef aquaria where presentation is key! Turn the feeder so that the opening is facing up. 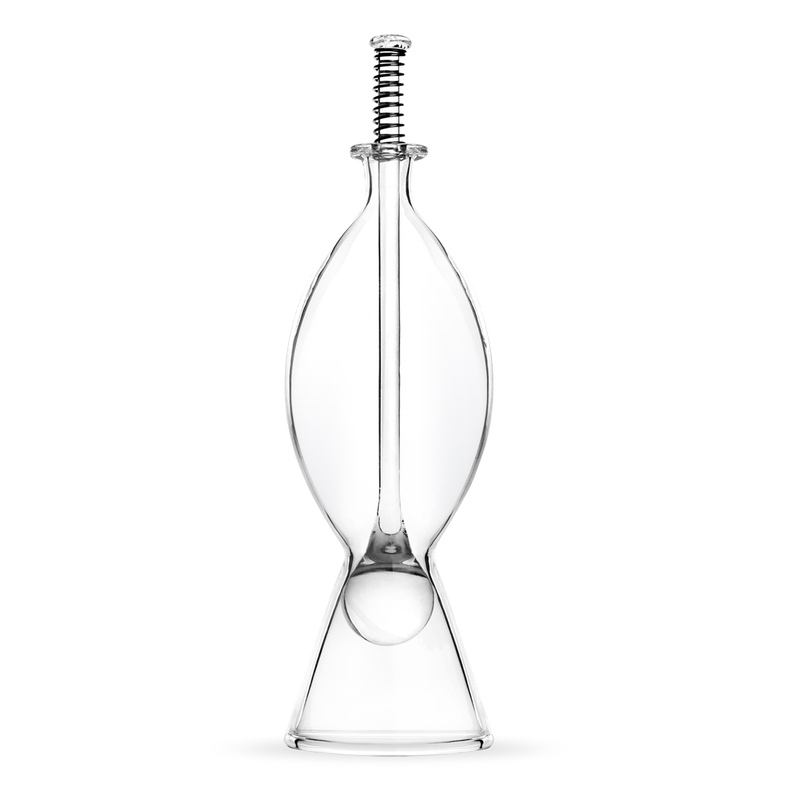 Press down on the spring loaded rod; the glass sphere will raise allowing you to pour your food of choice into the Feeder. Simply press down on the spring loaded rod. The glass sphere will lower allowing food to pour out. Experiment with how much much pressure you apply to the rod in order to increase or decrease the amount of food being released.